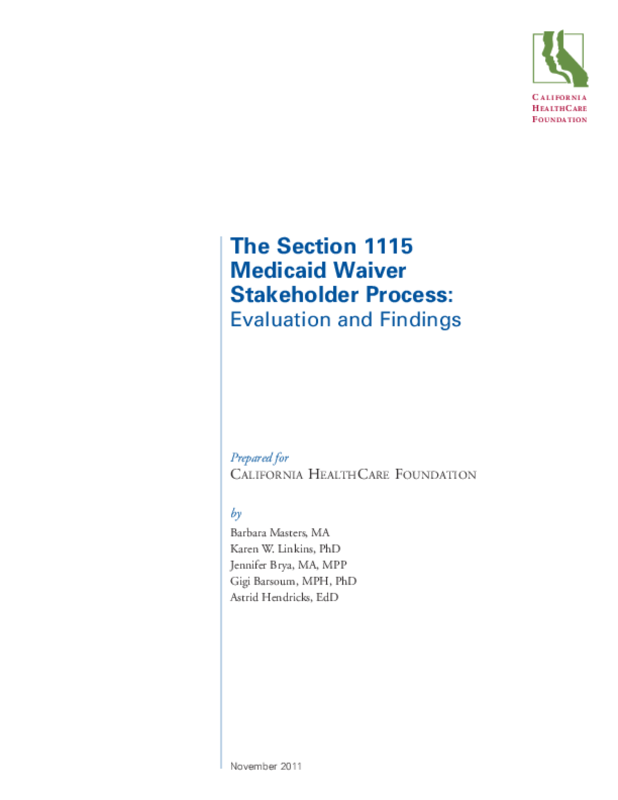 Evaluates the effectiveness, benefits to participants, and impact of the California Department of Health Care Services' stakeholder advisory process to inform the 2010 hospital financing waiver request. Outlines lessons learned and recommendations. Copyright 2011 California HealthCare Foundation.